Surgical reconstruction is an established method to improve upper limb function in individuals with tetraplegia. Over the past ten years, the panorama of motor dysfunction in tetraplegia has changed, and accordingly the surgical approaches have developed. The most dramatic change is the increase of incomplete tetraplegia with spasticity and tightness as a dominant symptom in addition to motor paralysis. Consequently, the surgical approach needs to take into account rebalancing the spastic/tight muscle tendon units. Another major change is the trend to more frequently use active motors for transfer instead of tenodeses. Combinations of active transfers and actively powered tenodeses have made the reconstructions more complex with increased needs for prevention of adhesions and oedema because of more extensive surgery. Therefore, post-operative active training is a standard protocol, which, in turns can only be done if the tendon-to-tendon attachments are suffiently reliable for immediate post-operative activation. 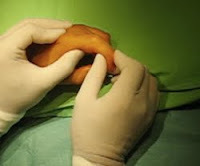 Improved suture techniques as well as more sophisticated rehabilitation protocols than before, have been substantial assets in the developments.